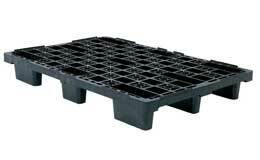 This entry was posted on November 1, 2012 by Goplasticpallets. Christmas is a time for giving and Goplasticpallets.com has generously pledged to help those in crisis at home and abroad this Christmas by donating funds to the British Red Cross for export pallet orders. For every APB1210 LSO and APB1208 LSO export pallet ordered between 14 November and 14 December, Goplasticpallets.com will give £1 to the British Red Cross. 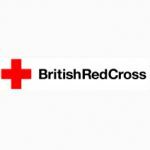 The British Red Cross is a volunteer-lead humanitarian organisation that helps vulnerable people in crisis, whoever and wherever they are. The charity is currently raising funds to support its Hurricane Sandy appeal to provide help to the millions of people in the Caribbean and the United States affected by the disaster. 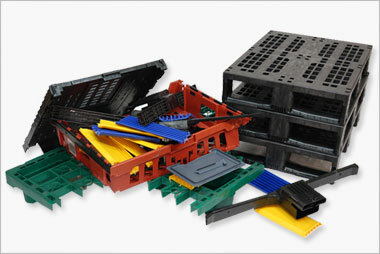 Goplasticpallets.com’s APB1210 LSO and APB1208 LSO open deck nestable pallets are ideal for export or multi use. 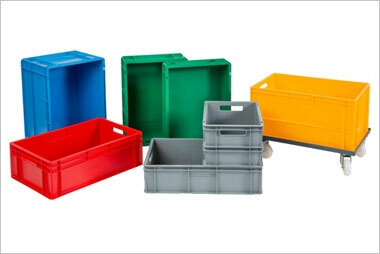 They are lightweight – weighing just 6.7kg and 5.6kg respectively – which is essential to keep airfreight charges to a minimum, and as they are manufactured from high density polyethylene, they offer superb durability and rigidity for repeated use. 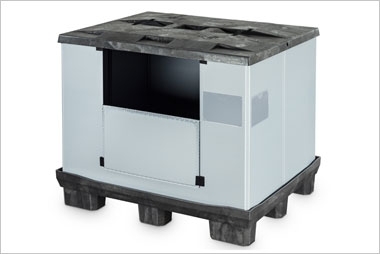 Measuring 1200 x 1000mm and 1200 x 800mm, the APB1210 LSO and APB1208 LSO can stack up to 40 high when empty, so an average trailer can carry up 1,320 and 1,040 pallets respectively. Not only can this save considerable space in return journey transportation, it can reduce fuel costs too, as fewer trips are required. 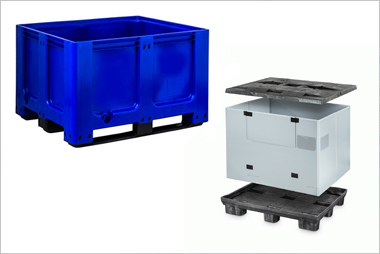 Like all Goplasticpallets.com’s pallets, the APB1210 LSO and APB1208 LSO are exempt from ISPM15 Wood Packaging Regulations, which seriously restrict the import of wooden pallets into many countries worldwide. 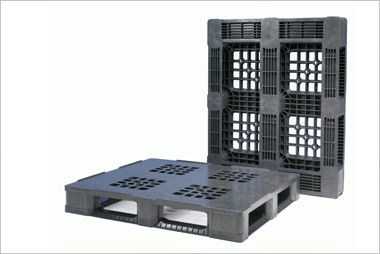 As no import restrictions apply to plastic pallets, by ‘going plastic’ exporters can avoid the costly hassle of valuable consignments being held at point of entry. 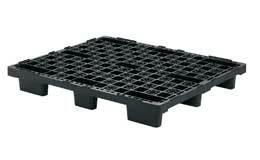 The APB1210 LSO and APB1208 LSO export pallets come in black as standard with lips, however versions without lips and clip-on runners are available as options.